Fusion is old news. Instead, restaurateurs like Chad Crete (formerly of the Iberian Pig) and Anthony Vipond are focused on “new American fare with Asian accents.” The duo is opening a yakitori spot called Whiskey Bird in the old Timone’s space (1409 N. Highland Avenue) in Morningside next week. Yakitori is Japanese for grilled chicken, but executive chef Crete is using the term liberally. 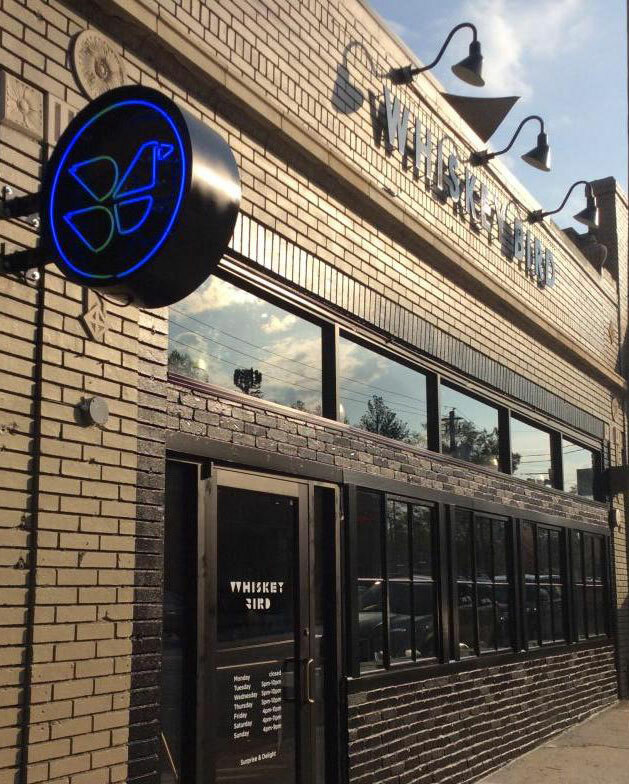 At Whiskey Bird, he’ll apply the yakitori technique of skewering meat and cooking it over binchotan charcoal, but will use a wider variety of ingredients than just chicken. Vipond says he and Crete were inspired by travels to Hong Kong and Thailand and “have a lot of passion and appreciation for the Asian cuisine and culture.” By combining the yakitori technique with American flavors, they hope to provide a unique option that appeals to a wide audience. The menu will focus on tapas designed for sharing. Yakitori options include stuffed peppers, sweet potato, charred octopus, crispy meatball, and sticky soy chicken. Expect fried chicken, crispy snapper, portobello Hong Kong sliders on griddled buns, and al pastor pork and Hawaiian tuna tacos. A few large plates, like a 72-hour ribeye, will be available. By mid-summer, Crete plans to offer a weekend brunch menu as well. The bird in the restaurant’s name plays homage to traditional yakitori (chicken), while whiskey is the focus of the bar program. “We’re going back to the classics—drinks people know the ingredients of,” Crete says. The menu will feature a Whiskey Bird sour, Sazerac, Manhattan, Moscow mule, margarita, and punch for two. There will be a menu of Old Fashioneds made with different bases (gin, rum, or tequila instead of bourbon). There also will be 10 beers on tap, and six or seven reds and whites each by the glass, mostly domestics. The space has been renovated to reflect an open kitchen and neutral gray décor. Black and white animal photographs from the early 1900s adorn the walls, and plenty of glass keeps the space open and inviting. And just in time for spring dining, there’s a large patio, too.